Last twelve days that shook the Nation culminated with a fast breaking of Anna. Media and agitators put it simple : Battle is Won but War just began. Distance between Parliament and People is drastically reduced. Speed of people empowerment is amazing. Hunger strike or holistic Fast forced lazy parliament to initiate the Bill delayed/ blocked since past 43 years. Break- Fast after 288 hours is going to be a new beginning for several young `Anna Warriors` who were fasting simultaneously in different parts of India. After the fast India is back in the `Slow format` of Governance. Time Management in Parliaments, in offices, in factories and in fields needs alert attention and accountability. Correction needs to trickle down from top. In Parliament clever politicians in majority blocked voting after Lok Pal debate perhaps due to pressure of hidden masters and corporate houses that runs the country. Parliament however passed the demands unanimously without vote. Law drafting and its reach to commons never ever got such a rainbow attention under public participative and peoples microscope. Million of youth since past two weeks participated collectively to understand how the bill is drafted and passed. Celebration is necessary to sustain the new power equation and awareness for the new pressure to pass the effective version of the bill. Celebration gets transformed into the popular victory march on the 13th. Day after the fast breaks. Delhi has become a favourite place for `Protest Tourism`. Message is clear without moral pressure people do not work with clear finishing lines. Delhi has caught the imagination of the whole world. Unlike recent `unrest` in London, Germany, Europe and America triggered by recession, Delhi ongoing crusade is a bloodless coup to bring mighty government on its knees. Ministers were given a Get-Well-Soon Cards with Roses as the last opportunity to correct their arrogant approach and to pug up their disconnect. Poor are still sitting outside the agitation as the cost of roses and `candle` light procession disqualifies them financially. Eight hundred and thirty million Indians still survive at less then a dollar per day. 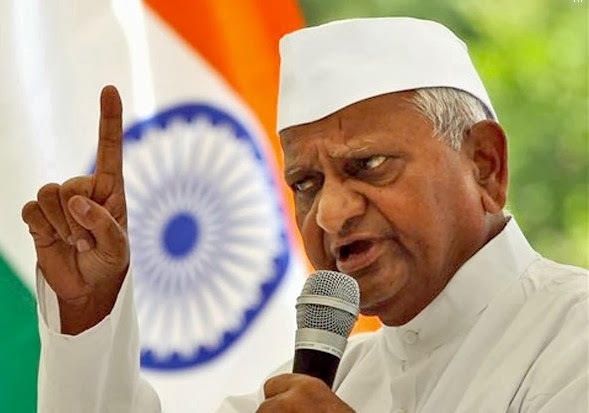 Anna Hazare hunger strike and Gandhian intervention of Public is a `new food` for thought. A new map for future actions. Much needed cleaning of India Inc as undertaken by Anna Team is throwing newer challenges and newer `business` lessons. Even the strong governments (Delhi or Karnatka) doing unfair business or blocking fair laws and even brutal police force can be brought on the negotiating table for fair if not equal participation by a non violent movement. 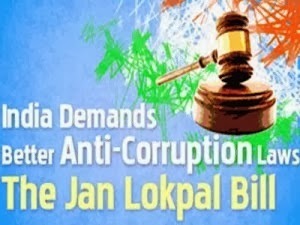 What politicians are unable to understand is that that there are no `fixed rules` for common people/middle class to wake up and spontaneously decide to support a Global Crusade against corruption. Those who get `ruled` need to revise their control over the Nagar Sevaks (MPs/Ministers). People are redefining their relationship with `Netas` as law makers who wish to treat voters as their servants. Leaders advise voters to come back after five years. Commons are engaged with their own daily survival therefore short cuts and outsourcing solutions while getting reduced to `audience` is normal. It is the job of the leaders and peace makers to `filter emotions` out of this War against Corruption. Leaders blame media to animate and spoil their power equations. Politicians in Parliament demand the speaker in the House to help them understand if they are representatives of the people or are they are the servants of the people ? Empowerment of middle class has galvanised and is shifting the epicentre of the fearful power equation. People definitely want more share of opportunity, a more equal playing field which is only possible by more transparency and lesser corruption. Today`s War against Corruption is to protect the shrinking pockets of poor who also want to buy good food, good cooking oil and wear good cloths. Collective efforts shall remain incomplete if unused money and hidden Gold is not brought back from `tax heavens` and from Temples. Voiceless People at ground zero also need to be shown space by Indian middle class and given a voice. Need of hour is more people`s pressure in shape of civil society, honest media, and honest politicians irrespective of political party affiliations. Real Sale and its increase is the only way to increase Real Production in the sick factories during ongoing recession. It is unfortunate both congress and BJP instead of discouraging speculative profits continue to encourage them and protect them by promising bail outs at the cost of tax payers money. Conflict of interest versus common interest of the majority of Indian suffering needs to be fine tuned by honest leaders in their joint collective action. A movement to help see Corruption=poverty=no business opportunity is needed. Fermentation of anger against corruption and helpless governance is unmistakable. In this background a very strong Jan Lokpal bill can help. This shall be the legislative revolution. `Give and take` community culture in corruption shall slowly get corrected later by more systemic reforms. Structural Reforms instead of liberalisation to disallow gifting public assets to handpicked few corporate will work. How the tolerance level of people against corruption shall trickle down to ground zero needs to be seen ? Ground Zero where corruption bullies the food distribution and services like buying, selling of land, licenses, birth and death certificates, school admissions and passport shall be the interesting `take away` sites for testing and re-testing by people who are waking up. The new fear is Big Brother(Anna) is watching you. Struggle in the ongoing second freedom goes on. Put people first or parliament ? Allow this spirit to be the modest beginning from Delhi & India.